XXIV Olympiad. Olympic Games. FDC. The Events Masterfile. With introduction, history & best records of the sport. Strength and technique enable an athlete to hurl the discus across the field. 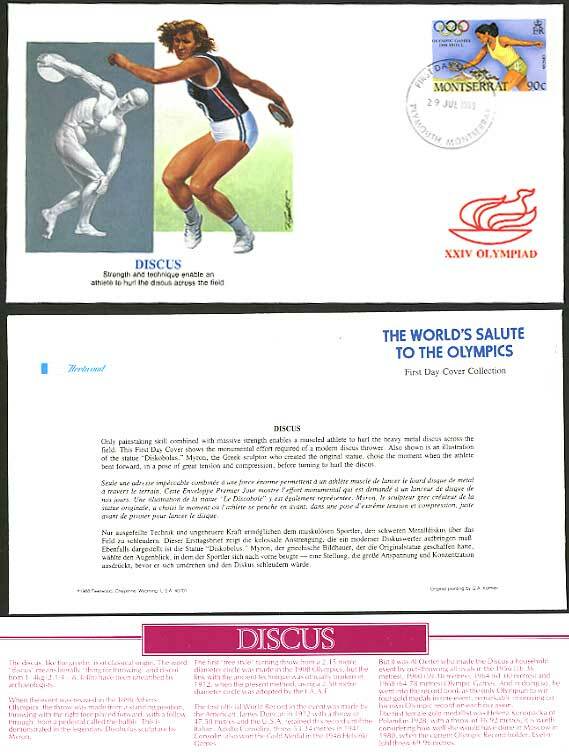 The discus, like the Javelin, is of classical origin. The word "discus" means "thing for throwing" and discoi from 1-4kg have been unearthed by archaeologists.